Ghost Hunting Theories: Scariest Places On Earth! It is interesting to note what different cultures around the world consider the scariest places. There seems to be a uniform acceptance that any place with tragedy and death is scary, as well as any location that is barren, desolate, and abandoned. 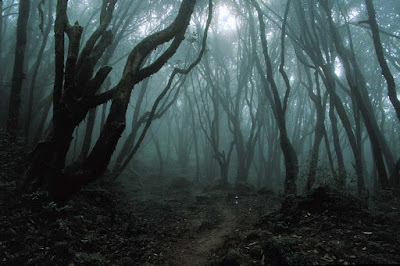 Let's have a look at Scariest Places On Earth! From 2000-2006 a series showed on Fox Family Channel that had a cult following immediately. With scary narration by the wonderfully creepy Zelda Rubinstein to Linda Blair hosting, this series had people in the dark and on the edge of their seats! They took families to haunted locations to find evidence of ghosts; all alone, all night! Be sure to watch in the dark! Are lonely, isolated, devoid of life. This would include abandoned locations as well as remote places like Antarctica and Siberia. Have had many deaths or burials of masses. This would include battlefields, crowded ancient graveyards, and catacombs. Housed people in anguish. This would include mental health facilities and medical facilities, sanitoriums and the like. Were the location of aggression. This would include murder sites and prisons. Have a long reputation of being haunted. I suppose we can all hope they bring the series back, maybe just for every Halloween, so we can enjoy some more haunted locations and some regular people reacting to the unknown. 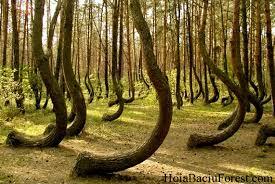 I know I'd want to see an episode at Doll's Island, Hoia Baciu Forest, or Suicide Forest, especially!